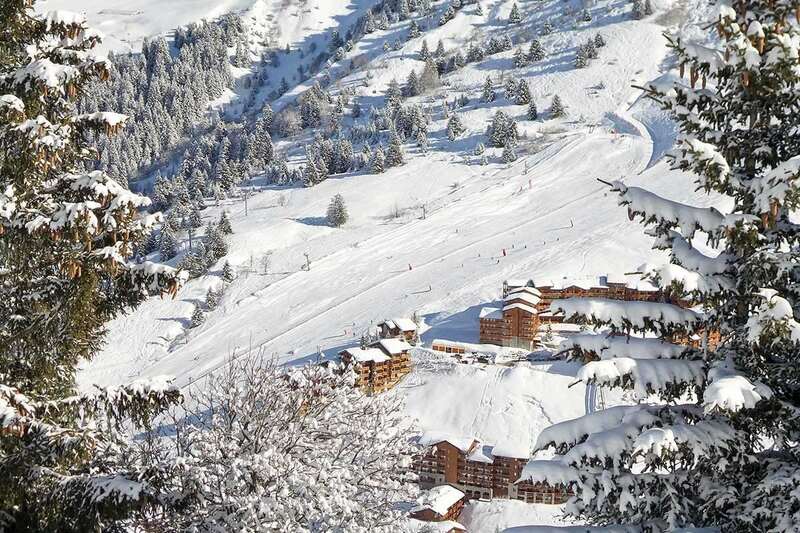 For those seeking a chalet close to the slopes, Chalet Cecilia is ideal. Being located at the edge of the Doron piste, you can ski straight from the ski locker door! This enables you to get on the slopes quickly and make the most of your day. This chalet is situated at an altitude of 1600 metres and boasts superb views across the valley. Enjoy the scenery and watch passers-by skiing and snowboarding from the large sun terrace or from the comfort of the traditional sitting room with its warming, open stone fireplace and distinct slate floors and wooden beams. The bed rooms have recently been updated from the original layout and new bathrooms have added a modern touch to each of the rooms. Accommodation consists of a double room with an ensuite bathroom, leading on the main balcony on the first floor level. Upstairs are 3 twin rooms with ensuite bathrooms and a smaller twin bedroom with an ensuite shower room. If you are a large group why not consider taking Chalet Veronica next door in addition, sleeping a maximum of 22 guests in total. Your day starts with a welcome mug of tea or coffee served in your room. This is followed by a generous breakfast including a choice of cereals, fresh fruit, yoghurts, traditional French bread and croissants, and a cooked option which varies daily, accompanied by fruit juices and fresh coffee and tea. On your return from a day on the slopes home baked cake and biscuits served with hot chocolate, tea and coffee will await you. Pre dinner aperitifs can be enjoyed in front of the roaring log fire accompanied by a choice of tempting canapés. To follow, a four course dinner is served to include a cheese board and fresh coffee with chocolates to finish. Our excellent house wines are provided and are unlimited in supply and during your meal a specially selected dinner wine will be served. This wine varies each evening as has been chosen to compliment that evening's menu. All soft drinks and beers are supplied free of charge. As a warm reception to all our guests welcome drinks are served on the first night of your stay. If you are celebrating a special occasion or birthday whilst staying with us we would be delighted to bake a cake or put some Champagne on ice for you. For our younger guests a birthday tea party can always be arranged. Early evening supper is served at about 6pm for children aged 12 years and under, leaving both parents and other guests to enjoy their dinner later in the evening in a relaxed atmosphere. Special diets and vegetarians can be catered for, please just notify us at the time of booking. Your chalet staff will have one full day off during the week. Continental breakfast and afternoon tea will be left for you to help yourselves. In the evening you will have the chance to sample one of Meribel's many restaurants which your chalet host will be happy to recommend and book for you.